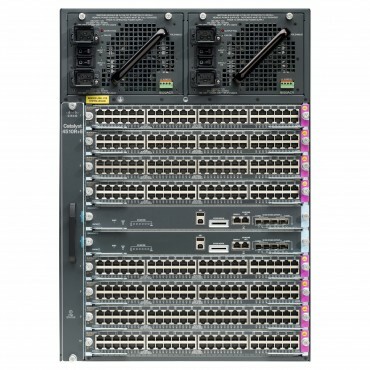 Cisco Catalyst 4500 E-Series,10-SlotChassis, switch. WS-C4510R+E, Cisco Catalyst 4500 E-Series,10-SlotChassis, switch. 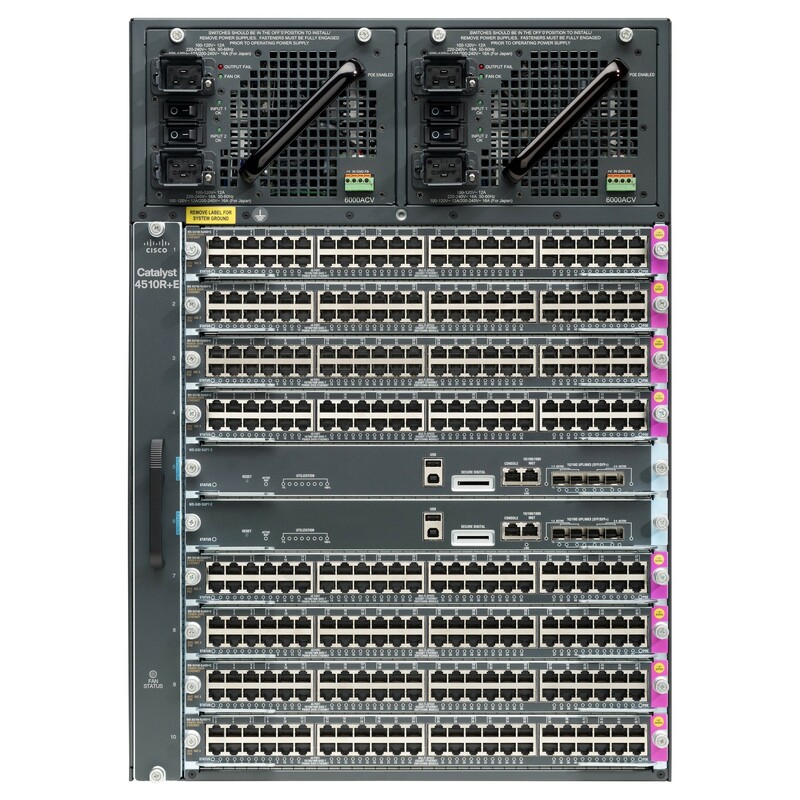 Cisco Catalyst 4500 E-Series 10-Slot 48 GB-ready Chassis, Fan tray, No Power Supply, Redundant supervisor engine capability, You cannot place a linecard with a backplane traffic capacity exceeding 6Gbps in slots 8, 9 and 10 of a Catalyst 4510R+E chassis when used with a Supervisor Engine 6-E or a Supervisor Engine 6L-E.
You're reviewing: Cisco Catalyst 4500 E-Series,10-SlotChassis, switch.